There are some exemptions and these include purchases of a non-residential or mixed use property, transactions where the property price is less than £40,000 and the purchase of caravans, houseboat and mobile homes. If you are simultaneously selling your main residence and buying a new main residence then even if you own another property the higher rate of stamp duty will not be applicable. If you do not complete the sale of your existing main residence and purchase of your new main residence at the same time, then you will have to pay the stamp duty at the higher rate on completion of your purchase and then provided you sell your old main residence within a 3 year period then you may be able to reclaim the difference between the lower and higher rates. If you are purchasing jointly, even if one of you owns another property and the other purchaser does not, you will still qualify for payment of Stamp Duty at the higher rate. There are also certain considerations to be taken into account if you are a Partner holding property on behalf of a partnership or if you are a Trustee. Further information can be provided from Miller Parris as to when the higher rates of Stamp Duty would be payable. Miller Parris Solicitors were delighted to once again donate £1,000 to the Worthing and Adur Fund. Worthing & Adur Chamber of Commerce developed the Worthing and Adur Fund for the local area in 2011, in partnership with Sussex Community Foundation, a charity that develops and supports local giving. The Chamber has worked with the Foundation to promote this permanent fund which, as it grows, will provide grants from the income it earns for charities and community groups, for years to come. A number of local individuals and businesses became Founder Donors giving a minimum of £1,000 which provided the seed donations to establish the core endowment fund, and since then many more local businesses have contributed to ensure the continuing success of this worthwhile project. 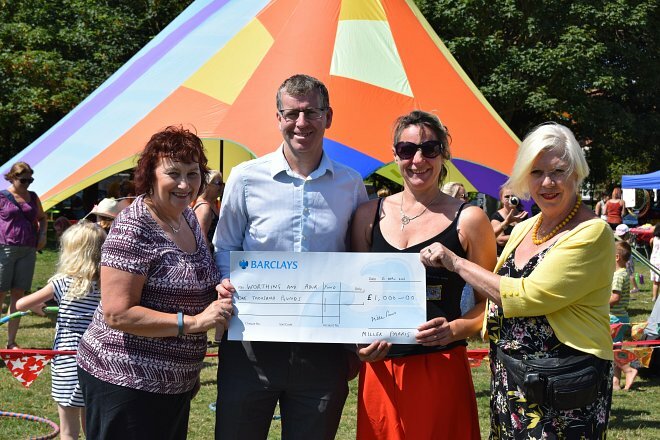 Superstar Arts CIC, Maybridge Keystone Club, Heene Community Association, The Friends of Oak Grove College, Cruse Bereavement Care, Electric Storm Youth and CircusSeen. 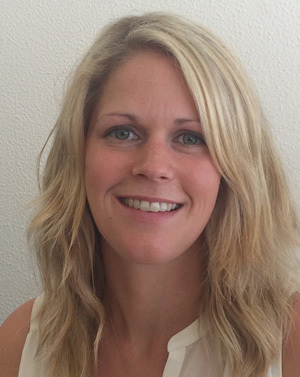 Miller Parris Solicitors are delighted to confirm that Vicky Bates will join them as partner as of May 1st 2016. Vicky, who started with the Broadwater based firm in November 2014, will lead the Business Client department and will continue to work on a wide range of commercial matters. A property solicitor with over 10 years experience working in the City of London, Vicky has a wide range of knowledge and expertise in all aspects of commercial property including investment acquisitions and disposals and lettings and management work. 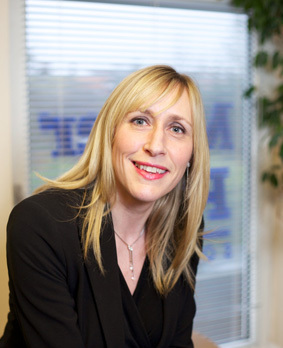 Vicky is also able to advise on the acquisition and disposal of small businesses and their property related matters. Mike Metters commented “Vicky has already shown herself to be a huge asset to our team with her commercial property experience and friendly and approachable manner and we are delighted that she has accepted a partnership with us. We look forward to her input in continuing the growth of the business and ensuring that our clients remain our priority in everything we do”. In addition to dealing with commercial property matters, Vicky also regularly acts on residential property acquisitions and disposals. This Saturday 13th June welcomes Worthing’s Children Parade to the town. Worthing Children’s parade is a dynamic day of music, dance and creative arts. It starts on Worthing seafront and snakes its way around the town centre with infectious samba music. The parade finishes in Steyne Gardens and the children are welcomed by the Mayor of Worthing and a fabulous charity fair organised by the Smiles Foundation, with entertainment for all the family from 10am until 2pm. This is a wonderful event that is well attended every year, the atmosphere is infectious and it’s a fantastic opportunity for the community to celebrate the achievements of our local school children. Miller Parris are pleased to be supporting The Smiles Foundation at this event and donating to this worthy cause. For more information on their work please see www.thesmilesfoundation.org. 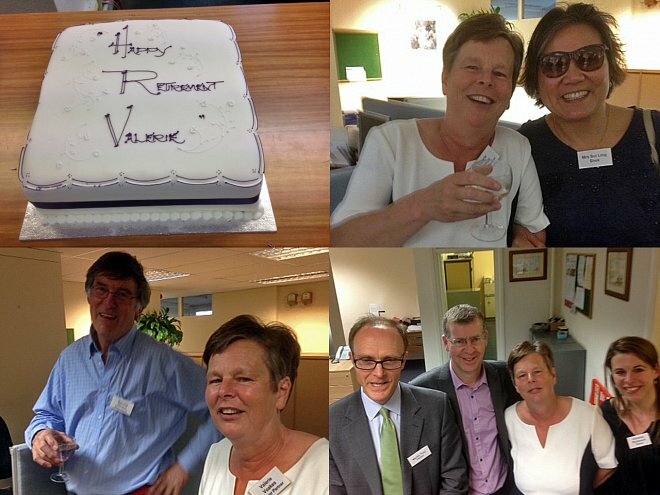 Over 60 guests joined Senior Partner Valerie Voakes at her recent retirement party. After graduating from Leicester University with a law degree Valerie joined Miller Parris in 1987. Valerie then became a partner in 1989, specialising in commercial and residential property and business matters. Valerie has led the Business Client department for many years and after more than 25 years with the firm is now looking forward to her retirement. Valerie intends to spend her time travelling, playing golf, skiing and sailing and will remain as a consultant to Miller Parris. We were pleased to receive so many thoughtful and appreciated replies to the recent Client Satisfaction survey that we sent out in April. “I have recommended your excellent efficient friendly service”. “Excellent service and I will use your services again and would recommend Miller Parris to anyone”. “Thank you for your help over the past year”. Thank you to all of those who replied. 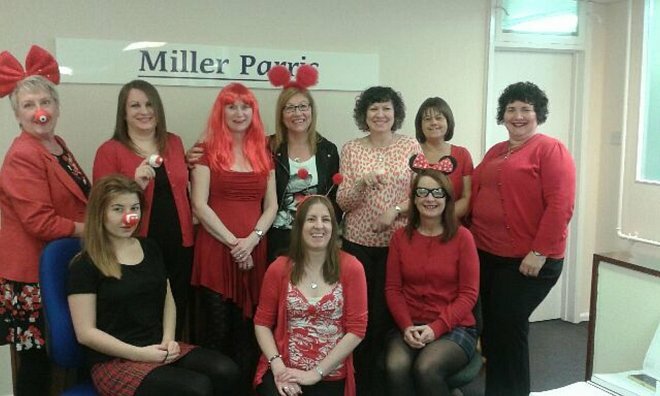 Local Law firm Miller Parris hosted their very own ‘Great British Bake Off’ on Friday 13th in support of Comic Relief. Staff baked at home and then brought in their goodies to sell to their colleagues to raise money to support Red Nose Day. Treats donated included cupcakes, lemon drizzle cakes, gingerbread and even Cornish pasties which added spice to the day. Judges awarded 1st, 2nd and 3rd prizes before the treats were sold. Organiser Janet Richardson said “We held a Bake Off last year and it was really successful, this year we doubled our efforts and have more than doubled the amount we were able to donate as a firm to such a worthwhile charity”. The Miller Parris team also held an E-bay style Auction of donated goods on the day along with an Easter Egg Hunt, count the Jelly Beans in the jar and a Spot the Ball Competition. Miller Parris are pleased to welcome solicitor, Vicky Bates, to their team. Vicky, who joined in November 2014 will be working in the Business Client department and advising on a wide range of commercial matters. Vicky is a property solicitor with over 10 years’ experience working in the City of London and has a wide range of knowledge and expertise in all aspects of commercial property including investment acquisitions and disposals, lettings and management work, having acted for both landlords and tenants in the retail, office and industrial sectors. Vicky also has experience of acting for developers and landowners in relation to site acquisitions and disposals and can provide advice on such matters including conditional contracts, overage agreements and options. Vicky can also advise in relation to the acquisition and disposal of small businesses and their property related matters.